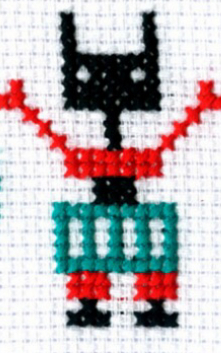 Give Cross Stitch a go with my adorable ‘Robot Geek’ starter kit. This design features three cute little robots and contains everything you need to get stitching. These robots come in the option of two colour ways. Choose from red, green and black or pink, purple and Black. 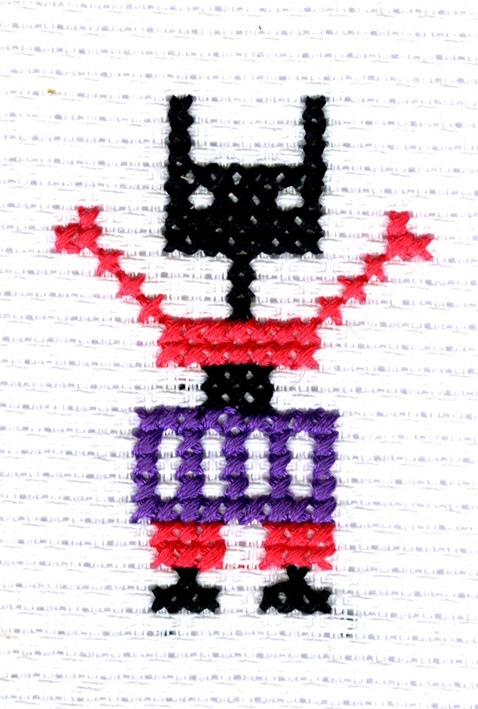 The kit comes with 8 count cotton Aida and mini four inch embroidery hoop which is perfect for framing one of your robots once finished. You can also personalize your design with the alphabet included in the kit. Once completed your robots stand 7 cm high by 6 cm wide or if stood in a row 7 cm by 16 cm This kit would be suitable for adults and children around 7 and over but would require supervision as it contains a functioning needle. This kit will make a great parent/ child project as it is a fantastic way to improve motor skills. This is a fun and easy introduction to counted cross stitch. High quality embroidery thread in three colours needed to complete the design. A piece of 8 count white cotton Aida (eight stitches per inch) Large enough to either stitch all three robot as one design or three individual projects. An alphabet so you can personalise your work. and a 4" hoop to work in. Perfect for framing one of your robots.